If you've read our blog for any length of time, you know we're FRIENDS addicts. We've seen the entire series at least 10 times, can quote almost any line (no matter how obscure), and Daisy's even shot multiple YouTube tutorials recreating the hairstyles and outfits from various seasons. And while we love each of the characters equally, today we're focusing on the quirkiest member of the group: Pheebs!! 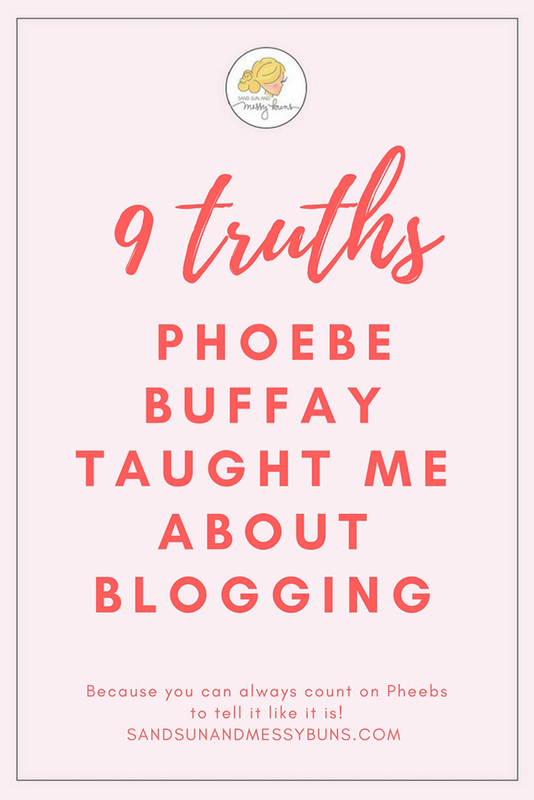 Since I (Erin) do most of the behind-the-scenes work for the blog, I'm sharing a few of the important truths Phoebe Buffay has taught me about blogging. Phoebe speaks the truth, y'all! Share this image on Pinterest if my post has you nodding your head in agreement. If you go into blogging with the expectation of getting rich, you're in it for all the wrong reasons. Blogging is first and foremost about helping others, not about getting rich. Does that mean you should feel guilty about making money from your blog? Heck no!! Blogging involves a ton of hard work and you have every right to profit from your effort. The key to blogging is in providing valuable information that (hopefully) helps your readers transform their lives. Once you do that, the money will follow! When you provide something of value, readers will enjoy returning to visit your blog again and again. You'll develop true fans. That in turn builds your traffic and your social reach, which offers increased opportunities to monetize your site. Sponsors then love working with you, because you provide a genuine audience that is truly interested in acting on your advice. It's a win/win (win)! And it all develops out of authenticity and genuinely wanting to connect with — and help — your reader. This is where a lot of bloggers (myself included) get tripped up. They want an incredible blog, but they don't want to put any money into it until it's actually profitable. You need to invest in your blog — and in yourself! It's the one thing every successful blogger has in common; they invest in blog courses and mastermind groups that help them grow. If you haven't started a blog yet, you're in a fantastic position, because you can start off on the right foot from DAY ONE. If you've been blogging for some time and want to improve, find a blogger more successful than you — someone you admire and hope to emulate. Ask that blogger what courses he or she recommends, and then sign up for the course and put 100% of your focus and energy into completing it. Too many (beginning and advanced) bloggers are clueless and bounce around from one strategy to the next, with no actual plan in place. They lack focus and suffer from information overload. You read a brilliant article and think, “That's exactly what I need to do!”, so then you give it a go for a while. When it doesn't work, you abandon your efforts. Then you read another brilliant article and think, “Oh boy, I'll try that!”, but it doesn't turn out like you'd hoped, either. Sigh. But wait! You stumble across a post from a successful blogger and follow her advice thinking, “It's gotta work this time!”, only to get frustrated when you can't duplicate her success. You need a plan. And not just any plan, but a PROVEN one. Find a method that's worked time and time again for bloggers more successful than you, and then mimic the steps in that process. Having a blog can be nerve-racking. 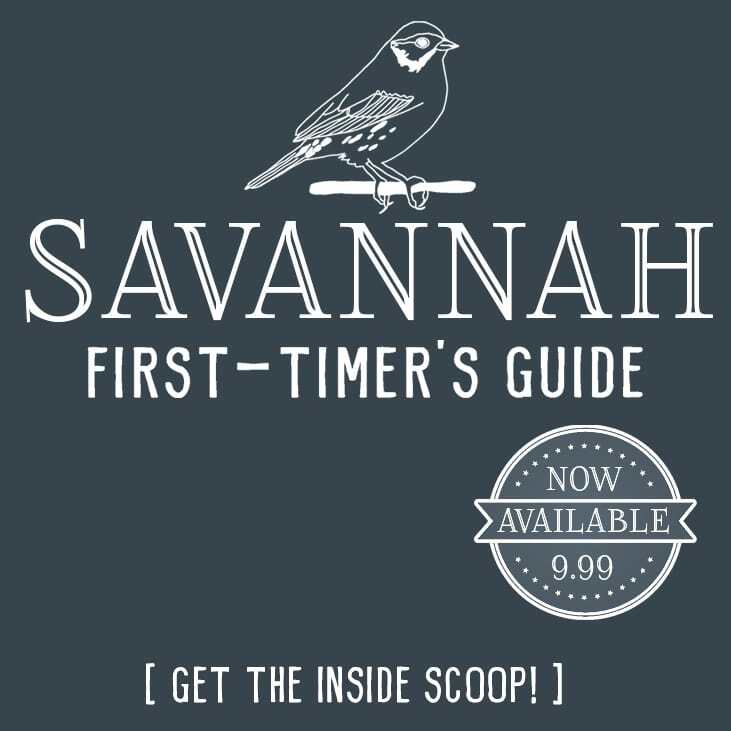 It's scary to hit “publish” on your first post. It's scary the first time you share your blog with friends and family. It's scary to reach out to sponsors. It's scary when you get negative feedback. The best advice I ever received about blogging was to just START. You can't dream and wish forever; at some point you have to jump in with both feet and just DO IT! Like most things in life, improvement comes with practice. The more experience you get, the more confidence you'll have. But you'll never gain that valuable experience until you get up enough nerve to put yourself out there. So go forth into the blogging world, and start sharing your message! If you're curious to know if you have what it takes to start a successful blog, try taking this very easy blog assessment quiz. That's because you have a unique perspective, and that makes YOU pretty awesome. No matter what blog topic or “niche” you choose, there's a whole community out there waiting to soak up any information you can provide on the topic. They're interested in YOUR story. Even if your numbers are small in the beginning, just focus on churning out good content, have faith in yourself, and keep going. One day, it will all click and everything will fall into place! Stay positive and keep believing in yourself, because you've totally got this! This is one of my personal favorites!! I'm an encourager by nature, so it makes me happy seeing others succeed. Are you familiar with Teddy Roosevelt's quote, “Comparison is the thief of joy”? Well, believe it, my friends! You cannot compare your blog to someone else's. Don't go down that rabbit hole. Two bloggers can start at the exact same time, with the exact same resources, and one may skyrocket to success while the other takes the long and leisurely route. If you're constantly comparing your journey to someone else's, you're putting the focus in the wrong place. Put your blinders on and focus on YOU. Make your blog the best it can be. Follow a formula for each post you write, and create a message you're proud to share. Not to be morbid, but I've recently starting thinking of blog posts this way: I publish each post as if it were my last. Think about it…if you were to die tomorrow and all your friends and family went to read your latest post, wouldn't you want it to be something that would make you proud? Put something of value out into the world each time you post, and make sure you're sharing an important and helpful message. Side Note: If you're the type who is going to compare yourself to others no matter what, at least make it motivating! Analyze what methods are working for them and driving their success, and use that as motivation when you're stuck in a rut. Look, you're going to make mistakes as a blogger. It's bound to happen. But here's the magical thing about making mistakes: It means you're learning! I've made tons of mistakes on this blog! Some cost me money. Others cost huge chunks of my time. A few had me crying out of sheer frustration. But you know what? I figured things out! (Or I found someone who could help me.) Either way — I learned what works and what doesn't! There's a certain sense of satisfaction in knowing that everything is “figuroutable”. You know what else is cool? Every post doesn't need to be perfect. One of my favorite things about blogging is that each post is editable! That's right: Every. Single. One. If you screw up, you can go back and make changes. If you learn an improved method or technique, you can write an update. You're a human being and you have flaws, so you might as well embrace them. (That often makes you more relatable, anyway!) Blogs are as much about growing and progressing as a person as they are about anything else. Need a break from this insanely long post? Check out Daisy's Friends 90's Hair Tutorial on YouTube, and this fun video where she recreated Monica and Rachel's outfits! It helps to have a set of clear and attainable goals established, so you'll know exactly when you're veering off course. Once you've established those goals, set to work making corrections! If your blog posts aren't resonating with readers, attempt to figure out why. Get chatty with them on social media, via your newsletter, or even by posting a survey. Readers are usually pretty vocal about telling you what they want — if only you ask! When you receive criticism, learn from it! Constructive criticism provides a valuable opportunity to grow and improve. Many bloggers work from home (they're also known as “solopreneurs”) and good number are introverts — which means they often have a difficult time reaching out to others. However, it's important to seek support and encouragement when you're a blogger, and you shouldn't attempt to do everything on your own. Facebook groups are a great way to build friendships online and become part of a larger community. If you prefer face-to-face interaction, try local WordPress meetup groups or attend a blogging convention. Whatever your method, make sure you develop a solid place you can turn to for support. It's so nice to be able to discuss questions or problems within blogging communities full of people who totally “get it”. There are so many bloggers that began blogging around the same time that Daisy and I started this site, and it's been really fun watching them grow and become successful! To our fellow FRIENDS addicts in those groups, this post is for you. 🙂 Thanks for always sharing our posts and offering helpful advice. And yes, in case you're curious, I did have a FRIENDS marathon going while I was writing this post. What's your favorite episode of all time? Mine is The One Where Everybody Finds Out. The scene between Chandler and Phoebe is pure comedy gold, and there are so many quotable lines just from that episode alone! I would say I’ve watched too much of it, but I don’t think that’s possible. 🙂 Phoebe was wise beyond her years! I have so many things I need to work on, too. There’s always room for improvement in blogging. This is by far one of my favorite posts! I love it! Yesssss….a fellow Phoebe fan! 🙂 Thanks! It’s by far one of my favorites I’ve ever written. I love Friends and this post! Thanks! I just have started watching friends again, I am on season 5 now. Thanks for sharing this post! I’ve been blogging for 9 years and think these are some grad tips!! I’ve seen so many people start a blog and then stop, because they have no plan. I’ve also seen so many people start a blog in hopes of becoming rich hahah – definitely doesn’t happen overnight or really at all (for some). It takes a lot of hard work! Definitely having other blogger friends is so important!! It definitely takes a lot of hard work. I think too many people go into it thinking it will be easy, but it’s a job just like any other job (although a job with tons of benefits…like working from home in cute PJs). She’s brilliant! lol Remember when she taught Joey how to play guitar? “I don’t know the actual names of the chords, but I made up names for the way my hand looks while I’m doing them.” Too funny. TOTALLY agree with your points and love Phoebe!! Such a fun way to combine your loves of blogging and friends!! You and I have this in common for sure!!! I LOVE FRIENDS!!! And this was such a great way to capture what you wanted to post about. I follow under many of these tips and needing to work on it for sure!! Thank you for sharing!! Hello, my fellow Friends fanatic 🙂 I can’t believe no one has commented yet naming their favorite episode! I have been blogging for three years and these are SO true! I especially love the quote about staying close to people who are sunshine. That one is a great rule to practice just in general 🙂 Thanks for stopping by! ‘unsuccessful people make decisions based on where they are’—that’s a powerful thought! Very true. It’s good to look ahead and not make decisions based on feeling trapped. This is one of the best blogging tips posts I’ve read! I’m a Friends addict, too, so that helped! Your advice was spot on. I especially like the one about not being afraid to look silly. The hardest part for me is asking for advice, because I’m afraid of any negative feedback. However, that is how we learn and grow and improve! Just get over looking silly and embrace the constructive criticism! Loved this! Yes! #friendsforever 🙂 I’m so happy it helped. Some of my best growth came about from constructive criticism, so I’m really grateful when someone provides it and see it as an opportunity. I’m obsessed with this!!!! I feel like Phoebe everyday haha! thanks for sharing this, I love it! I feel like her every day, too. She’s so relatable! omg YES love htis post and phoebe ha. shes such a rock solid choice to talk about esp when it related to blogging- we all get there but it takes time! Awww, I’m happy for the smile! That’s exactly what I intended to do. 🙂 And Phoebe is totally badass!